The standard ISO 26000, which we have used as a basis for our sustainability strategy covers numerous aspects of sustainability. We have used the standard to identify the issues that are most important to NCAB, based on our impact, stakeholder expectations and the improvements we can achieve. 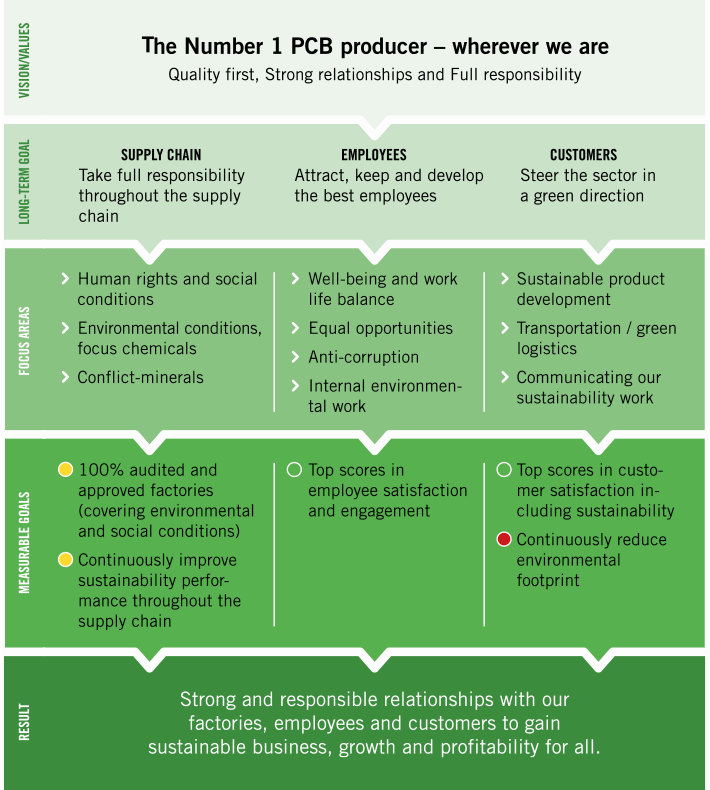 It serves as a way of illustrating how our sustainability work strengthens these relationships. Our strategy specifies long-term goals, measurable goals, and focus areas, from which we set concrete actions.